A few weeks ago I was sent some yarn to review from Appalachian Baby. It was kind of fun to try out something new and the colors were so soft and pretty, perfect for a baby. 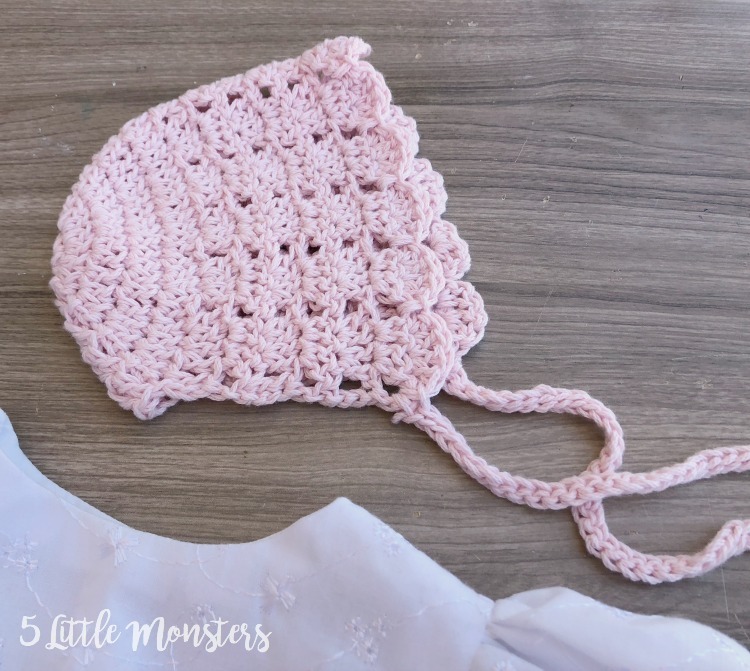 The first thought that popped into my head when I saw it was baby bonnet, so that is what I decided to make and now I am sharing the pattern with you. 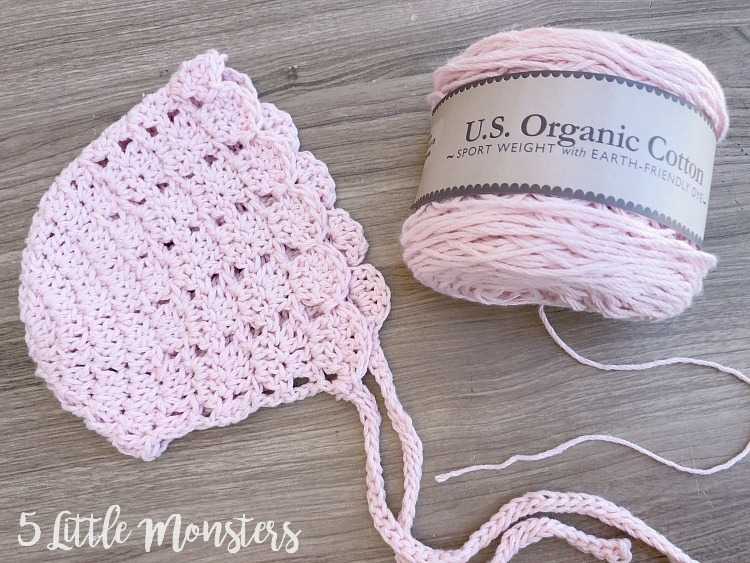 The yarn is an organic cotton sport weight and it came in a pack of 3 colors, although you can get them individually as well. Perfect for a little baby project. There were 3 different color choices to choose from in the 3 packs, I chose a pack with Natural, Silver, and Blush. I decided to use the blush to make my bonnet and it took less than one ball to make, I still have I think over half of the ball left. I have another project in mind for the other 2 balls, natural and silver, that I will share when it is done. 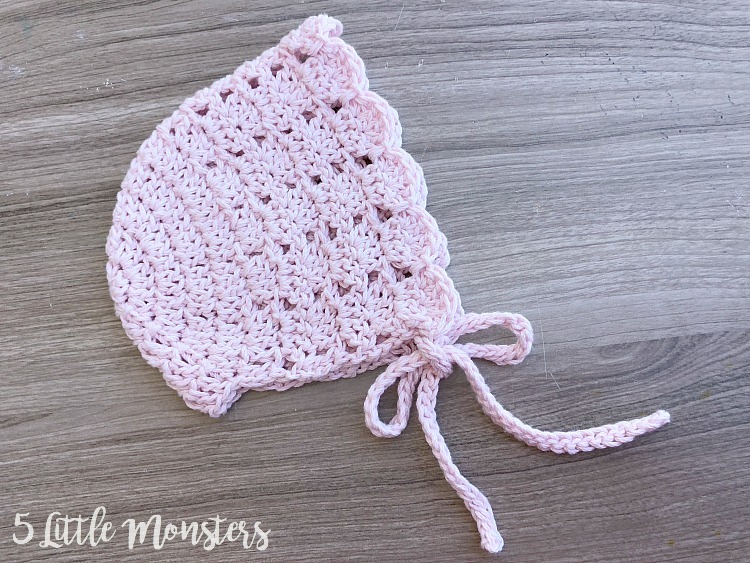 I wanted to make a very simple, but also pretty and delicate, bonnet. 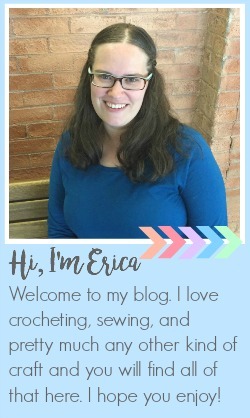 The pattern I came up with uses paired double crochet stitches to create a slightly open stitch with a scalloped edging along the brim. I added crocheted ties to finish the bonnet. 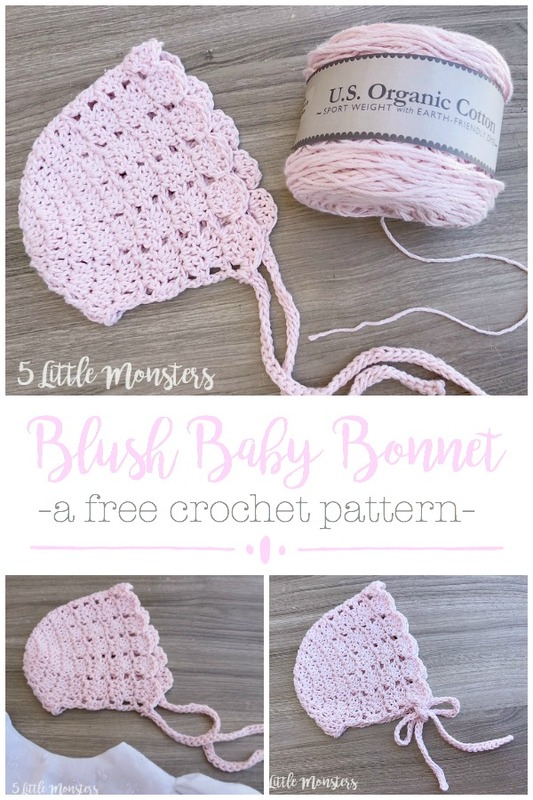 It was a really quick crochet project and I love the way the light pink color looked. It was exactly the look I was going for, simple and feminine. Begin with a magic circle, the back of the hat is worked in the round, then the sides are worked back and forth turning at the end of each row. 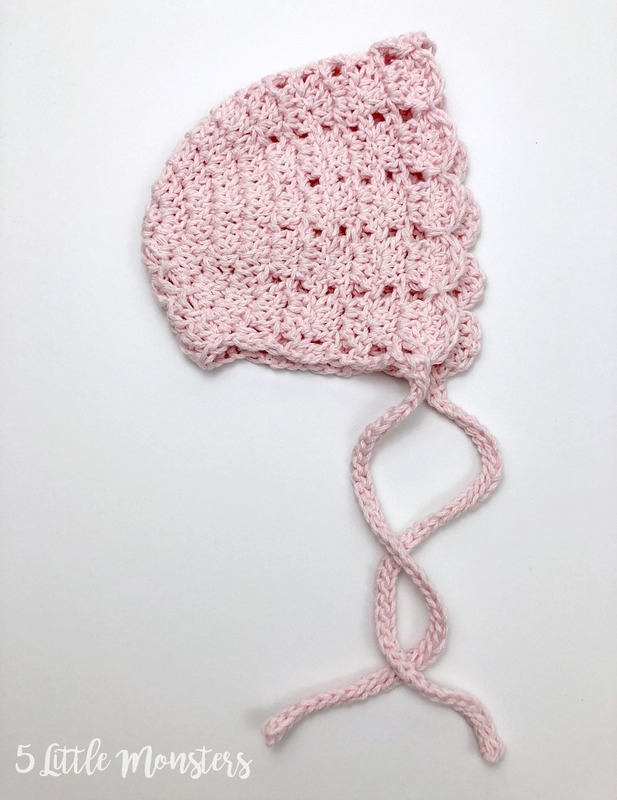 finish off, cut yarn, weave in ends, when you fold the hat flat like in the pictures it should measure about 5" across from the back edge to the scalloped edge.